Typical standard payment terms for selling to gift stores is Net 30 days. In other words, you deliver or ship your products and in 30 days the retailer will pay for the order. Originally, Net 30 terms are used so the retailer to have time to sell some of your products before needing to pay for them. Credit card payment is another standard payment method which is becoming more popular with gift store buyers — especially when taking first time orders from small stores. Now, let’s talk about each payment term individually. • While processing the first order, ask for a credit sheet that lists at least 3 references, bank information and person responsible for paying the bills. Although this will not ensure you will receive payment on time, the information is helpful in determining whether or not the store is a good risk. • Unfortunately, with the slow economy, Net 30 can turn into 60 or even 90 days before you receive your payment. It is imperative that you keep contacting the store for payment if they are late. If you don’t, the buyer/bookkeeper will assume that you are not serious about receiving timely payments. 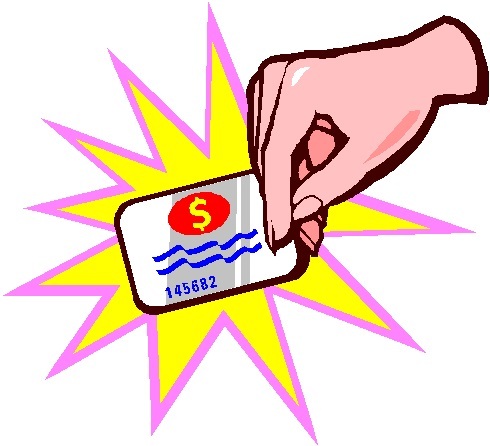 • Payment by credit card is great, in my opinion, for generating quick cash flow. You receive your money in just a few days without worrying about generating invoices, mailing statements or making collection calls. • If you plan to use credit cards as a means of payment, you need a merchant account. Merchant accounts can be set up through your bank or through various internet offers. Prepare ahead of time as merchant accounts are timely to set up. Merchant account companies charge various extra fees per transaction as well as month gateway fees, so make sure you investigate your options before deciding to accept credit card payments. • Having the ability to accept credit card payments makes your company look more professional. Believe it or not, looking professional translates into more (and possibly bigger) sales. • Pay via credit card with PayPal. Using PayPal is quickly becoming a good option for accepting payments from retailers — especially if you have a website with online ordering. But beware, you may need to get back to your buyer to remind them if you chose to email a PayPal invoice to them. • 2% Net 10. If the store pays their bill in ten days rather than 30 days, they can deduct 2% from the total due. • Net 60 or 90 days. In the event that you wish to get your product on the shelf quickly, but have the cash flow to wait longer for payment, this is a good option. I used Net 60-90 to promote early sales during a very slow season. • Pay half the invoice amount when the order is shipped or delivered and pay the balance due in 30 days. I used this option with a store that was historically late with their payments. Which ever terms you decide to use, remember to investigate all your options and be well prepared when offering these terms to your potential buyers. After writing this post in 2009, I have found that PayPal is becoming a more popular choice for payment on wholesale purchases. To use PayPal, you need to set up your business account (directions are on the PayPal website). When you wish to bill a retail store, you can create an invoice right in PayPal and email it to the store buyer. The buyer fills in their credit card info and submits the payment. Money is deposited in your PayPal or bank account (minus a minimal transaction and percentage charge) within a few days. Thank you for the advice. Could you recommend a particular sales and purchase agreement I might use at the upcoming NYGIF show at Javits coming up at end of January? Good question, Dina. Personally, I just listed terms and conditions on my sales sheets — but I will do some research and get back to you via the blog on a more professional sales and purchase agreement. I didn’t expect the store to buy so nany pueces wholesale and me a purchase agreement for net 30. Can i go back and ask for net 15 or 1\2 pmt, after the store gave me at purchase agreement for net 30. Is next 30 calender days or biz days? Net 30 is typically 30 business days from the day the products ship. And yes, you can tell this store that on first time orders, you require half down or Net 15 (or even full prepayment — but that does not guarantee they will prepaid). Send them a bill for the full amount and ask for a credit card to bill whatever the two of you decide. Then ask for a credit application so you can extent Net 30 for their next order. Interestingly, they do not include the service we use and love: Paypal’s PayFlow! !